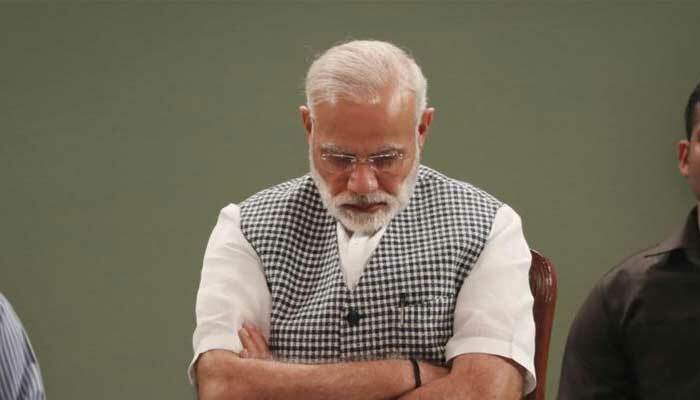 Indian Prime Minister Narendra Modi has openly admitted that it was India that laid the foundation of cross-border terrorism in South Asia. As it is, the Indian Investigation Bureau (IB) was establishing Mukti Bahini even before the Research and Analysis Wing (RAW) was set up on September 21, 1968. The Indians set up the Mukti Fauj, then Sangram Parishad, followed by Mukti Bahini. It is now well known that for the Mukti Bahini terrorists, the Indian Army operated training camps in the Indian states of West Bengal, Arunachal Pradesh, Bihar, Assam, Nagaland, Mizoram and Tripura. In late 1970, along with RAW and IB operatives, the Mukti Bahini had begun undertaking subversive activities in East Pakistan. If one checks newspapers of those days, one may find reports of blowing up of bridges, fuel depots, bank robberies, targeting of power plants and industries and killing of Pakistan armed forces personnel and non-Bengalis by the Mukti Bahini personnel aided by the Indian Army. Sushant Singh, an Indian journalist, writes: "India declared support for the Awami League, opened the East Pakistan border, and the BSF offered limited aid to the Bengali resistance. The Indian leadership decided not to directly intervene, but chose to get involved: the Army’s Eastern command took over responsibility for East Pakistan operations on April 29 and, on May 15, launched Operation Jackpot, a full-fledged operation to recruit, train, arm, equip, supply and advise Mukti Bahini fighters engaged in guerrilla warfare against the Pakistan military. India also launched a global diplomatic offensive to help create Bangladesh. By late November, India was ready for a military offensive. The speed and scale of victory was due to leadership, logistics, strategy — but also chance and contingency." Saikat Datta, on the other hand, admits that Israel helped India in 1971 war. "India may not have had diplomatic ties with Israel but New Delhi quietly sought and got arms from Tel Aviv as it prepared to go to war with Pakistan in 1971, a book has revealed. The book, 1971, by scholar Srinath Raghavan offers fresh insights into the 14-day war that led to the creation of Bangladesh. Raghavan accessed the PN Haksar papers maintained at the Nehru Memorial Museum and Library in New Delhi. These papers document startling aspects of a war that has not been documented adequately. A diplomat, Haksar was also an adviser to the then Prime Minister Indira Gandhi. "Raghavan’s research reveals that India’s ambassador to France DN Chatterjee began the process to get Israeli arms with a note to the external affairs ministry on July 6, 1971, saying assistance from Israel for propaganda, finance and even procurement of armament and oil would be invaluable. Gandhi immediately accepted the proposal and through the country’s external intelligence agency R&AW began the process to get the arms through the tiny principality of Liechtenstein. India didn’t have diplomatic ties with Israel at that time, having voted against its creation in 1948, and consistently supported the Arabs in the Israel-Palestine conflict. Israel was in middle of an arms shortage but prime minister Golda Meir stepped in to divert arms meant for Iran to India. She sent a note addressed to Gandhi in Hebrew through Shlomo Zabuldowicz, the director of the firm handling the secret transfers, with a request for diplomatic ties in return for arms. The diplomatic ties, however, could only be established in 1992 when Narasimha Rao was the Indian PM. "Another note -- from then R&AW chief RN Kao on August 4, 1971 to Haksar — also finds mention in Raghavan’s book. The note detailed how the arms would be airlifted with a batch of Israeli instructors. The arms would eventually land up with the Indian Army and the Mukti Bahini." Interestingly, in 2010, it was reported by the Indian media that most of the official records of the war that led to the creation of Bangladesh had been destroyed, including files on the creation of Mukti Bahini, besides others containing appreciation and assessments made by the Indian Army during the war period, the orders issued to fighting formations and other sensitive operational details. According to TNN, the records of the period, held at the Eastern Command in Kolkata, were destroyed immediately after the 1971 war. According to at least two former chiefs of the Eastern Command and other senior army officers, the destruction may have been deliberate. The Indian Army had housed the Mukti Bahini terrorists in different camps across India, where army instructors trained them in warfare. Later, Mukti Bahini fighters were part of the operations led by the India’s Eastern Command. However, it should be noted that in 1971, the total number of Pakistani troops in East Pakistan was 34,000 and not 93,000 as claimed. Sharmila Bose in her book “Dead Reckoning” termed the number of killed as alleged by the BD government a gigantic rumor. The Hamoodur Rahman Commission Report considered even 26,000 dead as an exaggerated figure. Richard Sisson and Leo E. Rose in the book titled “War and Secession: Pakistan, India and the Creation of Bangladesh” and Gary Bass in his book “The Blood Telegram” clearly admit that the figures about so-called genocide were false.